The economic law of demand and offert dictates that when the offer increases in the market, the price for the merchandise (albeit ilegal) falls. 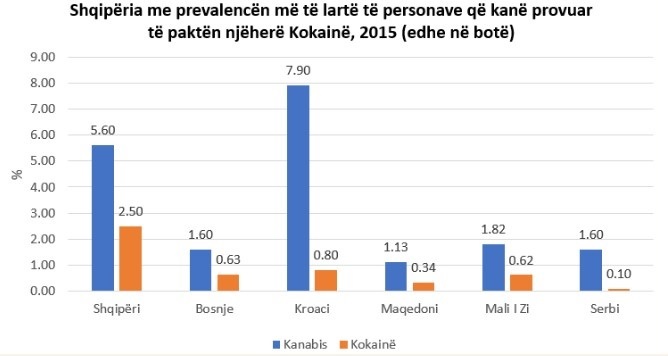 From the data that the United Nations Office on Drugs and Crime has collected from member states, it turns out that Albania has the lowest prices in the region in terms of cannabis and cocaine, and has the highest prevalence of lifelong users. For the majority of experts this comes for some reason in Albania. First, we are considered a place of origin for cannabis and transit country for cocaine. Much of the drug aims Europe, but an certain amount remains in Albania, thus increasing the supply and lowering the price. Secondly, the purchasing power in Albania is low and users are not able to buy expensive drugs. This factor, according to experts, has also brought the very poor quality circulating in the country, as Monitor magayine reports. 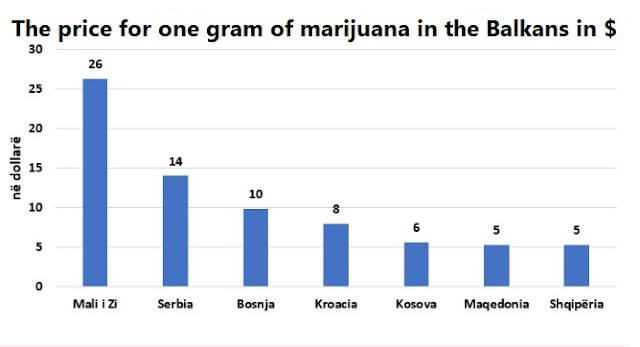 Compared to the region, Albania has the highest prevalence of lifelong use of cannabis and cocaine, especially for the latter prevalence is the highest in the world. 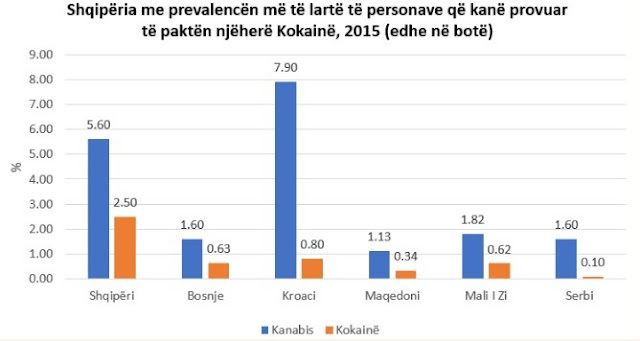 According to UNODC data, where comparable data can be found for all countries in the region for each individual who has experienced at least one time cocaine in lifetime, Albania is the first with 25 persons out of 100. From comparable data for countries in the region with regard to cannabis, Albania is ranked second after Croatia about lifetime use.